Diversity and inclusion isn’t just an initiative—it’s about how we show up every day and continuously build on outcomes. D&I is integrated into our company identity. An inclusive and diverse workplace is foundational to our values: Do the Right Thing, Do What Works, and Be Kind. We believe that it’s everyone’s responsibility to help evolve Pivotal to be the best company it can be. This means making Pivotal a more equitable and inviting workplace for our entire community. 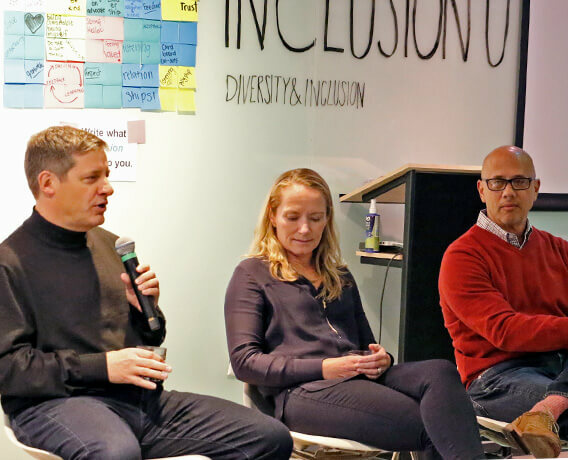 Our ultimate goal is to ensure that diversity and inclusion is not a separate, stand-alone initiative, but one characteristic of how we show up, and how we run our business. Over the years we’ve learned two important lessons through our own self-reflection. First, tracking and releasing company-wide metrics is critical, but it’s not enough. Second, D&I must be championed from the top down. We’ve seen that accountability and commitment—active participation—must start with our leadership team. We believe that setting priorities and modeling behavior from the top is essential to achieving better outcomes and activating others to become part of the journey. We are also committed to supporting and amplifying employee-led initiatives and gathering feedback from Pivots to understand what's working and what's not. While our numbers are trending in the right direction, we recognize that we have more work to do in 2019 and beyond on both the diversity and inclusion front. By the end of 2018, 25.4% of employees at Pivotal identify as women, a 2.4% increase from the previous year. Additionally, we’ve seen a 4.7% increase in women in management roles, respectively. Unfortunately we’ve seen an 0.9% decrease in women in technical roles, which is something we’re focused on in 2019. Pivots who identify as black in the US increased from 2% in December 2017, to 2.9% in December 2018 a 38% increase. Our Hispanic and Latino colleagues represent 4.0% of our population, a 8.7% increase. While we're making progress, we know we can do better. Our goal for 2019 is to get more employees involved in our D&I efforts. To achieve that goal, our team is iterating on tailored approaches to D&I at the team-level, and exploring where and how we can have a bigger impact. A critical piece to all of this will be developing mechanisms to measure and hold leaders accountable for positive change in line with our goals. Executive Leadership: Working with all members of leadership to support their meaningful engagement in D&I initiatives across the company. Data Strategy: Enabling the team to make well-informed, data-based decisions to guide our strategy. Awareness and Communications: Increasing awareness of our D&I philosophy, expectations, and initiatives, and shortening the feedback loop between the global D&I team and our employee base. Operating Model: Developing a framework for “doing” D&I that supports effective and sustainable change. Clear Expectations: More clearly defining what success looks like for leaders and teams, and defining what accountability looks like from the top down. Inclusion Education: Investing in management training and leadership development, via partnership with our Learning and Development teams. Grassroots Support: Scaling and localizing our D&I programs, and amplifying the grassroots work already being led by employees across the globe. Employee Enablement: Expanding our ERGs to include rainbow@pivotal, women@pivotal, remote@pivotal, and parents@pivotal. Recruiting: Investing more in our partnerships with historically black colleges and universities. Company values are never revealed in words, but in actions. 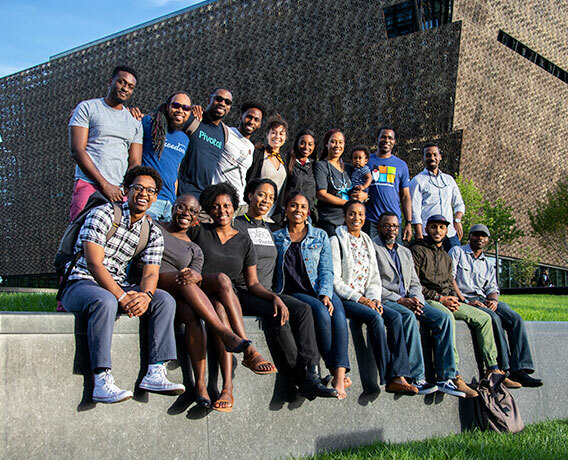 Our progress has only been possible because of the many Pivots across the globe who work tirelessly to ensure that D&I is part of the fabric of Pivotal’s culture, whether that’s by participating in our train-the-trainer program, attending an Inclusion U workshop, writing a day-in-the life blog, holding a tech talk, or starting an employee resource group.